Isn’t this one of the cutest things ever!?!?! It’s freakin’ adorable! 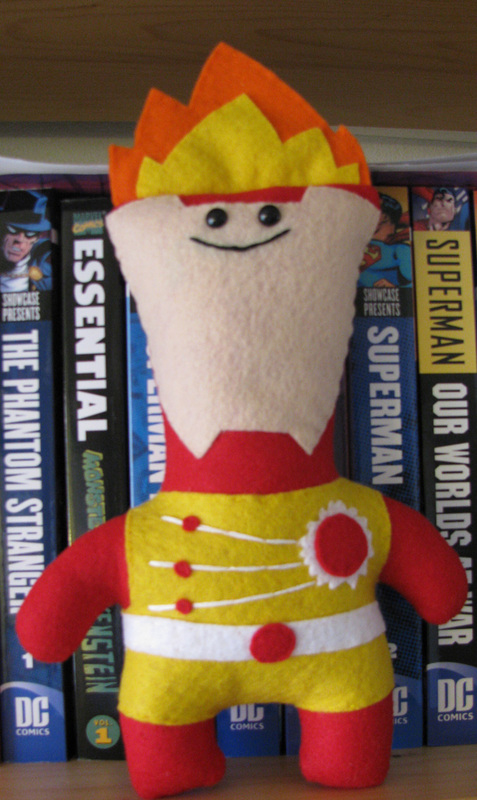 This Firestorm custom plush doll was created by Kayelyn of K-n-B Creations. Check out her deviantART page for more plush characters! My thanks to Frank (of the blogs: Martian Manhunter: Idol-Head of Diabolu, Justice League Detroit, Atom: Power of the Atom, Wonder Woman: Diana Prince, DC Bloodlines, and …nurgh…) for pointing me in the direction of this plush doll! Support Firestorm! Fan the fluff! Posted in: Firestorm #01: Original (Ronnie/Martin).